The dilemma of how to transport a Christmas tree home could be leaving many drivers with the unwanted present of a fine or points this festive season. According to a new survey of 500 drivers by Fiat Professional, 75 per cent of drivers are not aware of the safe loading laws. 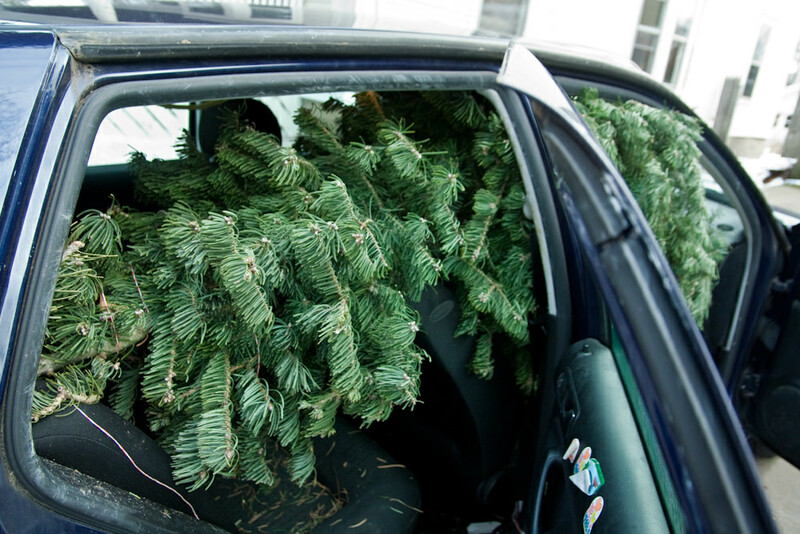 It’s not an uncommon site to see trees strapped to the roof or poking out the back of a car boot during December, but the Highway Code is clear on the rules of the road, especially when it comes to loading your vehicle correctly. “A dangerously loaded vehicle will incur an instant three penalty points on your licence, along with an uncapped fine,” said a Driver and Vehicle Standards Agency spokesman. Of the 500 drivers surveyed by Fiat, half said that they would be buying a real tree this Christmas, but with one in four admitting that they don’t secure their tree at all and one in 20 confessing that they leave the tree sticking out of their car, there will be some who are likely to get the needle from traffic police if spotted. The Highway Code states that were a vehicle carries a load which is longer than the vehicle, a reflective flag must be used to warn other motorists and that it musn’t obscure the driver’s vision of the road. Unsurprisingly, Fiat’s research is related to the sale of a car, with the Italian brand’s Fullback deemed a good choice to transport trees, presents and much more this Christmas. Though splashing out on a truck just to take your tree home seems a little excessive.